Our team knows how to nurture your travel experience. Team of our knowledgeable, caring, skilled, experienced & well groomed Agra Tour Guides, who work exclusively for us, accompany our guests untiringly to the Tombs, Mosques, archaeological sites and wander through bustling streets of the old city & spice market, pointing at intricately carved red sand stone facades & temples, entering villages surrounded by lush green fields & stopping by for an exclusive photo opportunity to make the holiday experience of our guests memorable. Sanskriti Vacations is a trusted name for its local tour guides in Agra. Your tourist will definitely engulf their best moments with the Taj Mahal as our Taj Mahal Tour guides would help them embark upon their journey to expedite the monument in detail. our team of Agra tourist guides would always ensure that the tourist get a deeper glimpse of other historical monuments and simultaneously enjoy the heritage aspects of the city that everyone desires to visit. Mr. Yogesh Sharma is a Govt. approved tourist guide of North India for the Govt. of India Ministry of Tourism since 1996. He has widely travelled & is highly knowledgeable in his area of interest, which makes him an unmatched communicator about his experiences. His presence of mind and skillful humor is appreciated by his Guests. He has mastered his skills in handling Individuals & Group tours. His deep knowledge of Indian History, Mughal Architecture, Hindu religion & Culture makes him an excellent guide of North India. Mr. Naim Khan is a Govt. approved tourist guide of North India since 2006. He is an excellent French speaking Guide. His interest in Indian history & Mughal culture has encouraged him to take up the profession of a tourist guide. He works very sincerely towards making his Guest's visit to India an unforgettable experience. Mr. Vijay Singh is a Govt. approved tourist guide of North India since 1986. 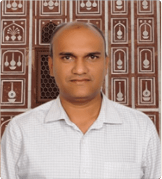 His deep Knowledge about Indian history, Indian culture and Mughal architecture along with his long experience in this field makes him the most sought after English speaking guides in the City of the Taj Mahal. Mr. Sachin Gupta is a Govt. approved tourist guide of North India since 2006. 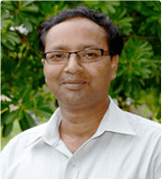 His knowledge of Indian History and its Culture along with his pleasing personality wins him a very good reputation in this profession. Moreover he is always driven with passion and enjoys his work while being with his Clients. Ms. Sheela Rajput is a Govt. approved tourist guide of North India since 2005. She is a polite person with a positive and humble attitude. 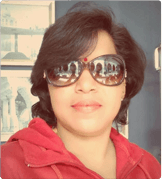 Her enthusiasm and eagerness to share information about Indian History and Indian Culture with her Clients, is highly appreciated by her Clients. Mr. Rashid Ahmed is a Govt. approved tourist guide of North India since 1996 . He is a great narrator and takes pride in informing the Clients about the Indian History & Agra's majestic Architectural edifices, which were built during Mughal rule in Agra & around. His sincerity towards his profession helps him in handling Individuals and Group tours successfully, which makes him an outstanding Guide. Mr. Virendra Gupta is a Govt. Approved Tourist Guide of North India for India Tourism since 1996. He possesses double Master's in Indian History & Indian Philosophy. 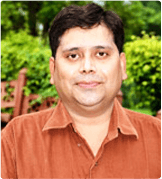 He is an Excellent English Speaking Guide & has acquired in depth knowledge of Indian History, Mughal Architecture, Hindu Religion & Indian Culture. His enthusiasm & his eagerness to share the information are always appreciated by his clients. He is a skillful person in handling Individuals & Group Tours. His delivery is appreciated by his clients & he enjoys an excellent repeat value and high references from his guests. His ever smiling nature & honest opinions, impress upon his clients, more over he is always driven with passion and enjoys his work while with his clients. He is also a hobby photographer & a keen traveller. Mr. Chandrapal Singh is a Govt. approved tourist guide for the Ministry of Tourism Govt. of India & for the state of Uttar Pradesh since 2010. He belongs to a well known Landlord family of Agra, who are credited with founding the largest educational establishment in Asia - RBS Degree College in Agra. 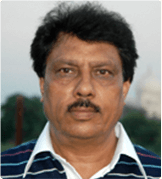 He hails from Rajput clan of Hindus & enjoys remarkable family history. His early education took place in famous Mayo College, Ajmer, which is known as the Eton of the east. Later he went to St. John's College to earn his further education. His early interest in textile industry took him to textile designing & exports but later changed his career to become a successful Tour Guide. He handles Individuals & Group tours with equal ease. His deep knowledge of Indian History, Mughal Architecture, Hindu religion & Culture makes him an excellent guide for Agra & around. Besides these, he also has a special interest in Indian cuisine. Mr. Rohit kumar is a Govt. approved tourist guide of North India since 2009. After being in service industry and working in different capacities for last 14 years, he took up the job of a tour guide. His deep interest in other varied subjects & fields like Indian History, Art & Architecture, Theatre, Economics, Philosophy and Sports allows him to communicate with flair with people from different walks of life. He believes "Work is Love made visible", which drives him passionately to go all the way out in order to unfold Agra very skillfully to his clients. 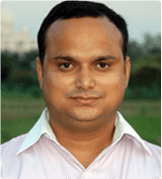 Mr. Prashant Jain obtained the Govt. approval as a Tourist guide for North India in 1996 from the Ministry of Tourism. 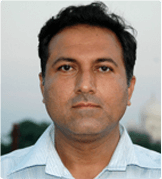 He has in depth knowledge of Indian history, Mughal architecture & culture. 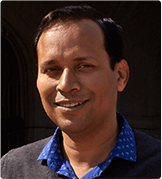 He has Master's in Commerce & his interest in domestic and international money market helps him in analyzing the changing trends of the economic worlds. 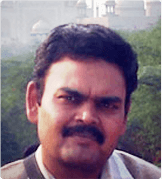 He is well versed with stock market and commodity market & enjoys sharing his honest opinion with his Guests. He has continuously worked for all important Guests, VVIP's & has been shortlisted by some very important tour operators in India & abroad. Ms. Gauri Pachauri, enjoys a Master' degree in English Literature with a technical diploma in teaching. 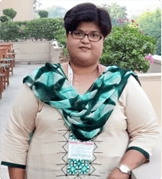 She started her career as a teacher in child psychology & soon changed her profession successfully as a Tour Guide in 2007 after qualifying the Govt. of India Guide Training Course. She enjoys this unique opportunity of becoming a Tour Guide in sharing her views with her guests on Indian culture, customs, costumes & cuisine. Her in-depth knowledge about India & its people makes her a true ambassador of Indian Tourism. She is skilful in handling Individuals as her services are appreciated by her clients as she always enjoys an excellent repeat value and high references from her guests. Her ever smiling nature & honest opinions, impress upon her clients, moreover, she is always driven with passion and enjoys her work while with her guests. 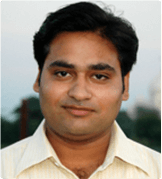 Mr. Sushant Kumar Jain is a Govt. Approved Tourist Guide of North India for India Tourism since 2008. He is not only an Excellent English Speaking Guide, but also is an excellent communicator. He has in depth knowledge of Indian History, Mughal Architecture & Culture. His presence of mind & skillful humor is appreciated by his clients. He has continuously worked for all important Guests, VVIP's & has been shortlisted by some very important Tour Operators overseas also. He has had a proven track record in handling Individuals & Group Tours. His delivery is appreciated by his clients & he enjoys an excellent repeat value and references from his guests. His Master's in Economics drives his hobby & his interest of Indian & Global Politics. He is very well versed with Indian Religion, traditions & culture, which he enjoys sharing with his clients. 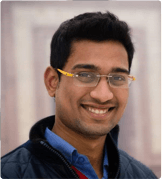 Akash Jain was selected to be a Tour Guide in the year 2013 by India Tourism to be a Regional Tourist Guide for north India based at Agra. 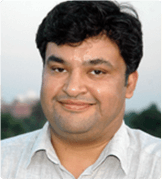 He earned his Master's in Indian History from Dr. B. R. Ambedkar University, Agra, with specialization in Mughal History. He has been a highly accomplished tourist Guide who has successfully taken around thousands of Tourists from USA, United Kingdom, Australia etc. In a short time-span of five years his services are recommended for special interest tourists, leisure travelers, state dignitaries, corporate heads & Bollywood celebrities. He has sharpened his skills & has equipped himself to handle a wide range of subjects viz. Culture, Cuisine, Architecture, Heritage Paintings & Indian Society at large, for his individual to family travelers & even large group of tourists. His communication skills, in-depth knowledge, pleasing personality & flexibility while at work has been his strength for which he wins appreciation from his guests. He is a keen photographer, passionate traveler & is an excellent story teller who is proud of his inheritance & of Indian art, Culture & its history. 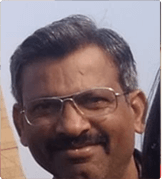 Pradeep Sharma opted to be a Tour Guide in the year 2007 and obtained his India Tourism Regional Tourist Guide license RLG ITD/07/413 after completing his Master's in Medieval Indian History from Dr. B. R. Ambedkar University, Agra. He has successfully taken around more than 15000 overseas guests from English speaking countries in last 12 years including leisure travelers, state dignitaries, corporate heads & Bollywood celebrities. He is very well educated & trained to handle wide range of subjects from culinary to culture, market to monuments & heritage to history for his individual to family & even large group of tourists. His communication skills, in-depth knowledge, pleasing personality & flexibility while at work has been his strength for which he wins appreciation from his guests. He is a vivid reader, passionate traveler & an excellent story teller who is proud of his roots in Indian art, Culture & Indian history.